Module One Therapeutic Massage and introduction to aromatherapy blending is required. The 10 step Shirley Price Aromatherapy Massage is taught. The weeks ends with a session to make your own toners, cleansers, lotions and creams. Anatomy & Physiology Level 3 must be obtained prior to Module Three. Here is an anatomy and physiology level 3 course. Further theory and practical Anatomy & physiology learning will be delivered by the course educators to meet IFPA requirements. Aromatherapy Diploma Module Five with Penelope Howell FFHT MIFPA FHT. Practical and theory examination. With completion of case studies and essays the learning comprises a course of in total 10 months duration with 5 weeks classroom tuition to ensure the student emerges a confident and fully trained practicioner. 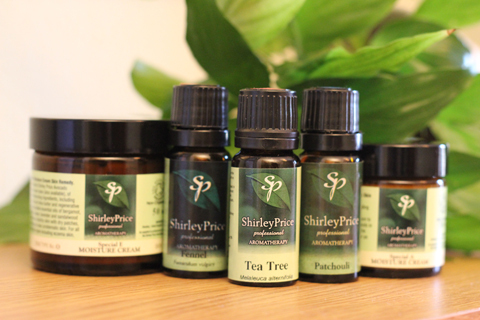 The tutors of the Shirley Price International College of Aromatherapy prepare students for FHT/IFA and IFPA membership according to the affiliation of the tutor.